How did your faith come alive? What was your turning point? Life-changing events have the potential to turn a young person’s life towards or away from faith. 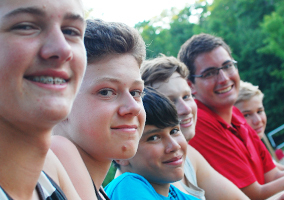 According to the Hemorrhaging Faith report, 50% of committed Christian young adults who went to camp said their faith came alive there. When young people experience God’s love through his people and learn to love and serve others, their faith comes alive. 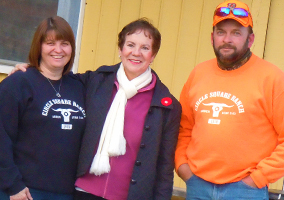 Judy Kennedy (centre) with Arden Circle Square Ranch Director Dwayne Matson and his wife, Cindy, who serves as Office Administrator. Take a look at Judy’s story. Summer camp was highly significant to Judy when she was a child. Along with growing in faith, she made lifelong friendships and developed skills that would later shape her vocation as a teacher and high school principal. Take a look at Alanna’s story. 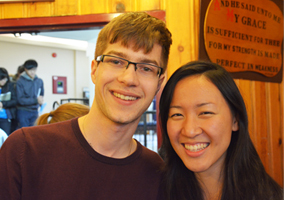 She met a few at-risk youth when she was a cabin leader and heard God’s invitation to work with others like them. “A Volunteer Gives Back – Senior citizen shows gratitude for the incredible gift of camp” – Judy (Allaster) Kennedy. “Discipleship Through Community – Friends and mentors help a young leader step into risk” – Joshua Simmonds. Joshua Simmonds (far right) has spent many summers working as staff at Ontario Pioneer Camp. “Finding Vocation In The Wilderness – Young camp leader discovers a love for troubled teens” – Alanna Watton. 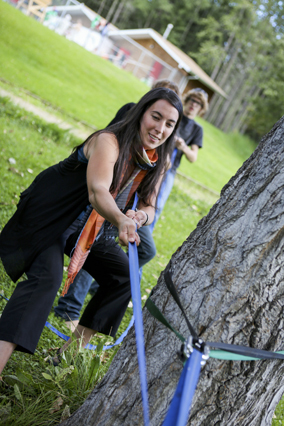 Alanna Watton began to discover her vocation at Alberta Pioneer Camp.